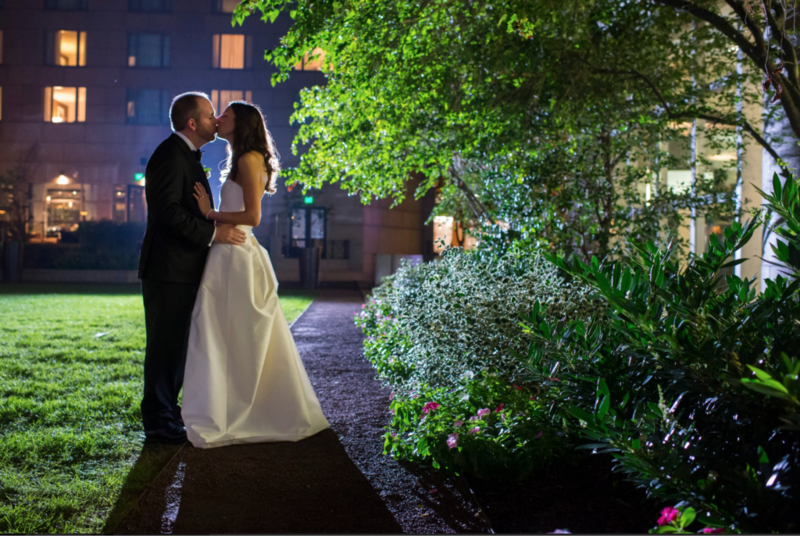 The Logan Hotel is an unforgettable venue to host your Philadelphia wedding. The Logan has three main spaces for all different types of weddings. Their spacious ballroom, with high ceilings and sparking chandeliers, can host up to 250 people for larger weddings. For smaller weddings, the Stenton can host up to 120 guests and has a rustic style with wooden accents and a grand fireplace. The Courtyard, their third venue, is popular for hosting enchanting outdoor weddings. It can also connect to the ballroom to create an even larger space for your big day. Right in Logan Square, the Logan has always been a well-known wedding spot with its artistic designs, elegant space, and beautiful architecture. Their team of wedding specialists are there to assists in every need to make your wedding day perfect. Check out Michael and Heather’s wedding preview video for an inside look on what it’s like to have a wedding at The Logan. Video courtesy of Allure Films, and photog courtesy of Campli Photography. For more information on this venue, head over to our Wedding Venues page here.